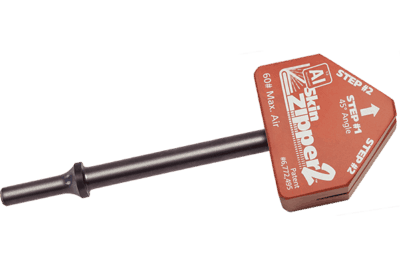 Designed for skinning aluminum doors. 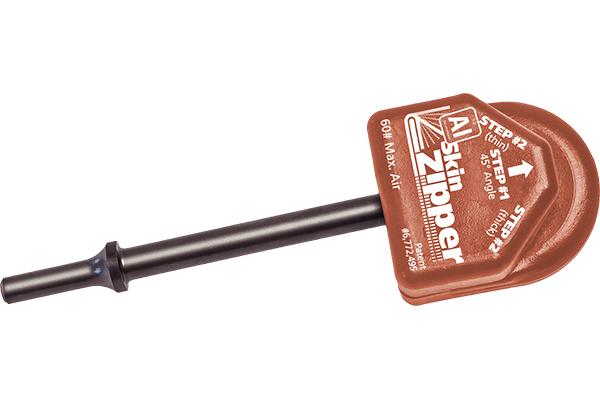 The AI Skin Zipper is an air hammer driven door skinning tool with a wider opening for any 1-millimeter aluminum skin and 1.5-millimeter door shell. 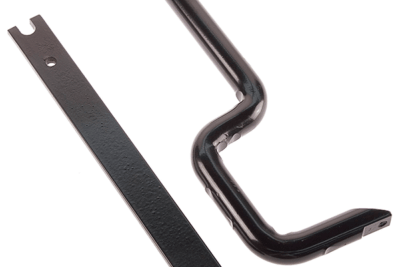 Attach a new aluminum door skin with rope hem in approximately 15 minutes. 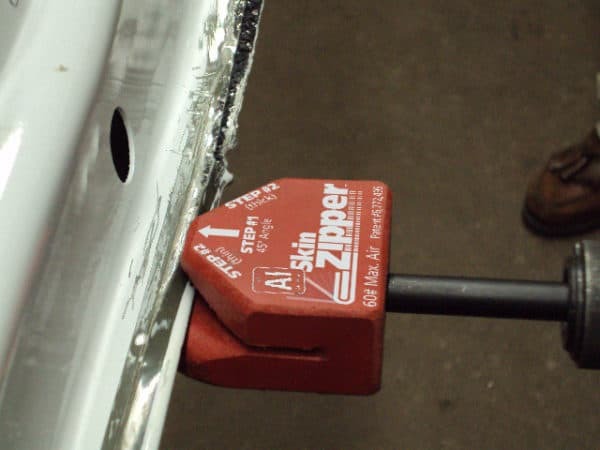 Aluminum skins are prone to cracking but the AI Skin Zipper prevents cracking from happening because it produces a rope hem. When completed, minimal finishing may be required on the corners and body lines. 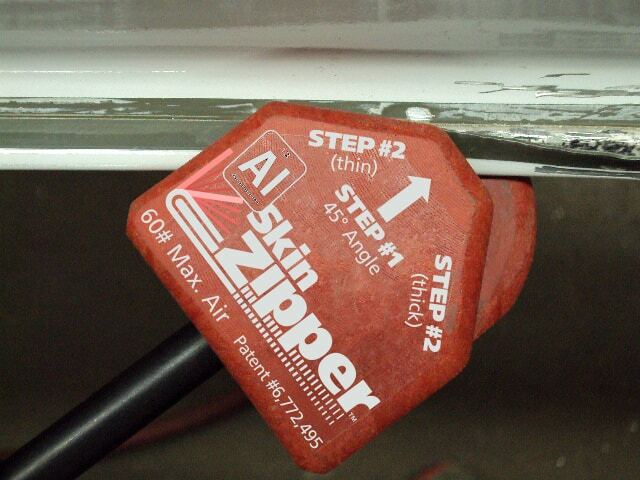 The AI Skin Zipper reduces technician arm fatigue from hammer and dolly method. It also allows the technician time to skin the door before the two-part bonding agent has set. 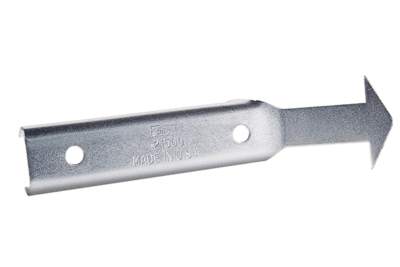 The self-lubricating head will skin approximately 10 doors and is easy to replace when it wears out. 1. Step One allows the technician to form the edge of the door skin to an initial 45° angle by holding the tool at a right angle to the door. No hammer and dolly work required here. 2. 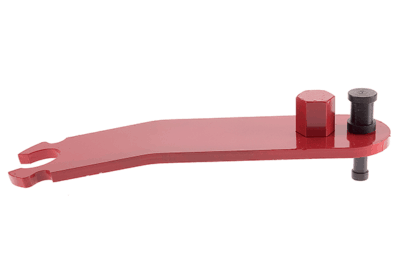 Step Two allows the technician to complete the final form by using the tool at a 45° angle. Two side slots are included for left and right application. When completed minimal finishing may be required on the corners and body lines.